Much has been written last week's on the "Houston - We have a problem" issue. This comment you may not have seen. Worth the read. Let's do what we can to make this happen. 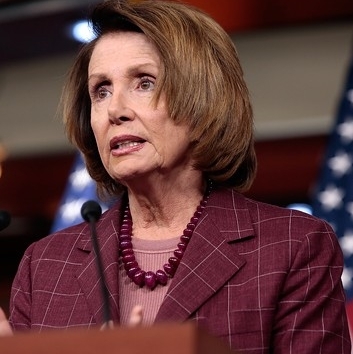 Houston's rejection Tuesday of a broad anti-discrimination measure is "disappointing" but won't undermine the "inevitable" expansion of gay and transgender rights, House Minority Leader Nancy Pelosi (D-Calif.) said Thursday. "It's disappointing. But we just have to think of it as a bump in the road," Pelosi told reporters in the Capitol. "It's inevitable it will happen. Maybe inconceivable to some; it's inevitable to us," she added. "We have to shorten the distance, as I always say, between the inevitable and the inconceivable. And we will prevail, but it was disappointing." Dubbed the Houston Equal Rights Ordinance, or HERO, the ordinance would have explicitly prohibited discrimination based on sexual orientation or gender identity — protections adopted by a few hundred cities around the country. Houston's city council approved the new protections last year, but opponents were able to put the question before voters in the form of Tuesday's referendum. It was rejected by a lopsided tally of 61 percent to 39 percent. Proponents of the measure — including Houston Mayor Annise Parker, a lesbian — said the change is needed to ensure basic human rights in the absence of a federal statute protecting gays and transgender people. Critics hammered the ordinance as threat to women, saying the change would empower cross-dressing men to attack women in public restrooms. Pelosi didn't have the same praise for the ads surrounding the anti-discrimination measure. “Seeing the ads on TV ... was heartbreaking," she said. "It was really heartbreaking because some significant money came in [and] really mischaracterized what the initiative did. And I think the size of the defeat — not only that it lost ... but the size of the defeat was stunning." Still, Pelosi said the Democrats will continue their fight against discrimination on all fronts. She highlighted the hate crimes bill passed when the Democrats controlled the lower chamber, noting its inclusiveness. "At the time ... they told me, 'If you take transgender out, you can pass this bill in a minute.' And I said, 'If we take transgender out, we're not passing it in a hundred million years, because we're not doing that,' " Pelosi said. She also praised President Obama for repealing the Pentagon's long-standing "Don't ask, don't tell" policy. And she noted that the Supreme Court had provided advocates with an enormous victory this year by legalizing gay marriage. "So we're making great progress, and the momentum is on the side of ending discrimination," Pelosi said. "This [Houston vote] we consider an episode and not a trend." Thank you for the article. I am not a big Nancy Pelosi fan but she does do an excellent job in the anti-discrimination field. I could not agree more but will take the support for where ever is comes.